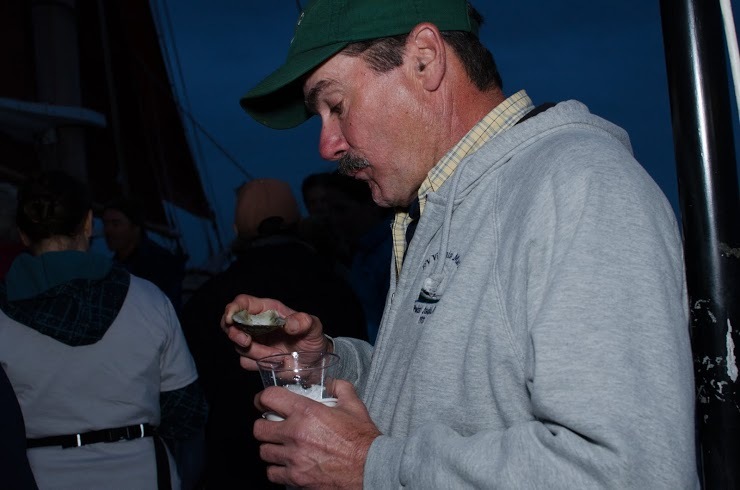 On October 6th, 60 people boarded the Schooner Aurora in Goat Island and headed out for a slightly foggy sunset sail between Aquidneck and Conanicut Islands. 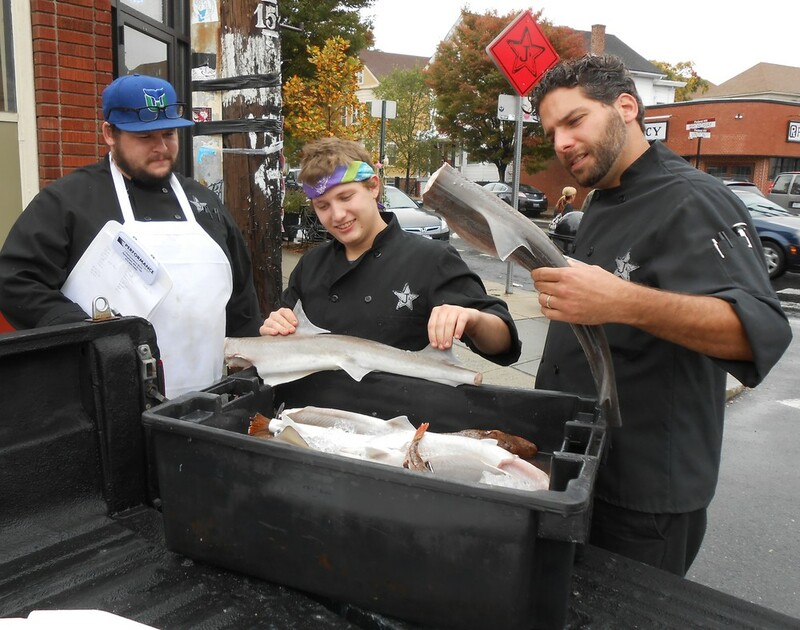 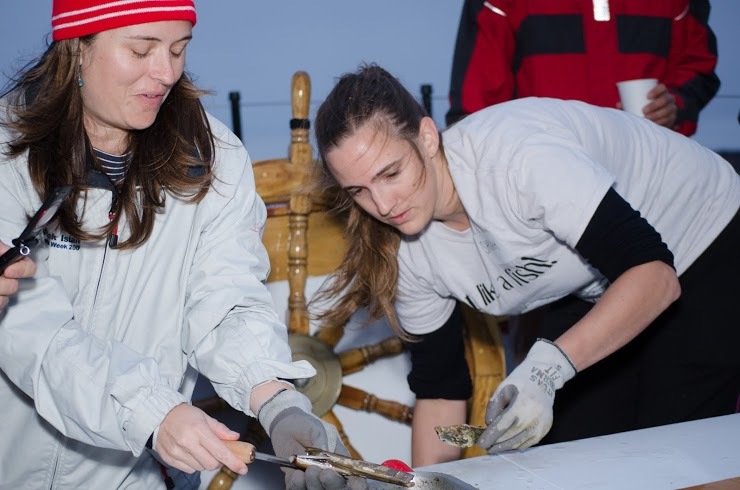 While sailing, we heard from seven expert speakers about fishing and oceans, and enjoyed an amazing meal donated through collaboration between fishermen and restaurants. 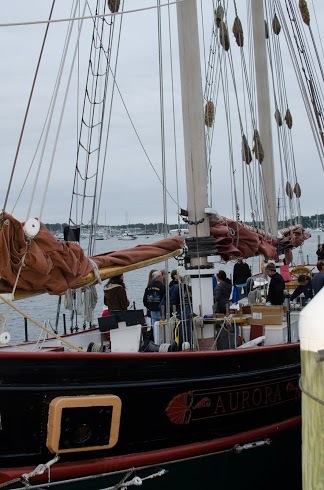 And of course, the Schooner Aurora!!! 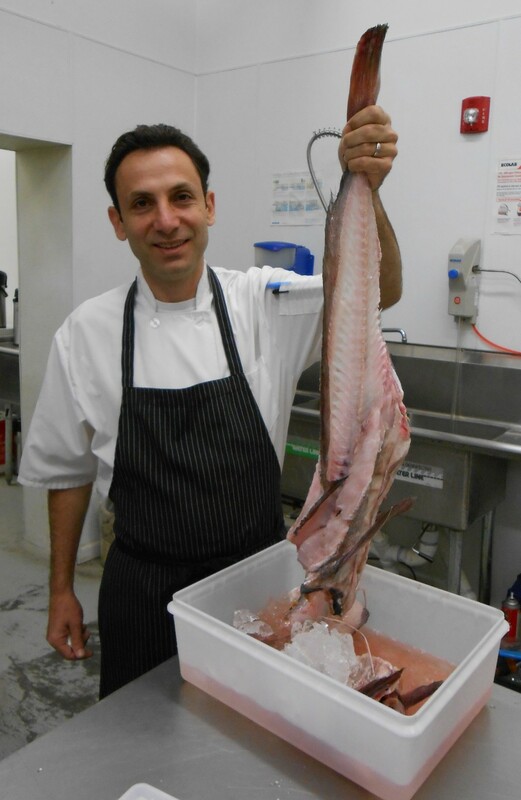 Chef Rizwan Ahmed shared his recipe for the Soupe de Poisson that he donated to the cruise. 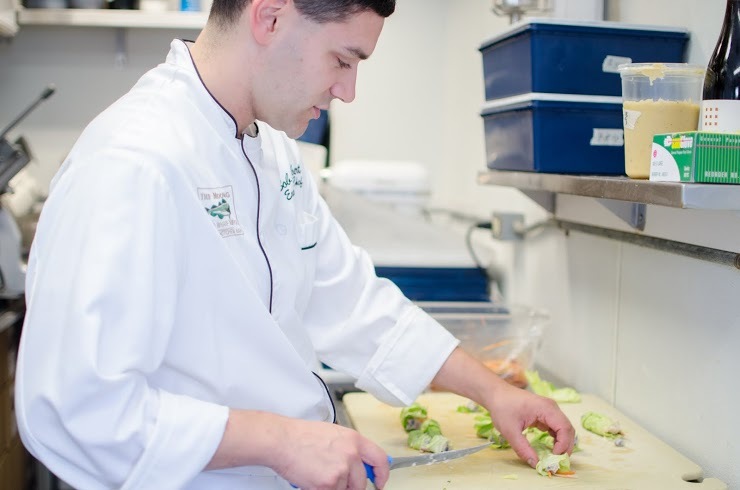 Learn his secrets at this blog post!